The McQueen was shot today in superb weather. The results are on the relevant page (if you think I have got yours wrong then let me know.) No prizes for guessing the top shooter. The first score of the day set the standard that was unbeaten (50.10 – no practice, just the two sighters). As regards the next event (the Kirby Cup) we have a manpower shortage. Due to a variety of reasons our usual range staff have other commitments and cannot run the shoot. 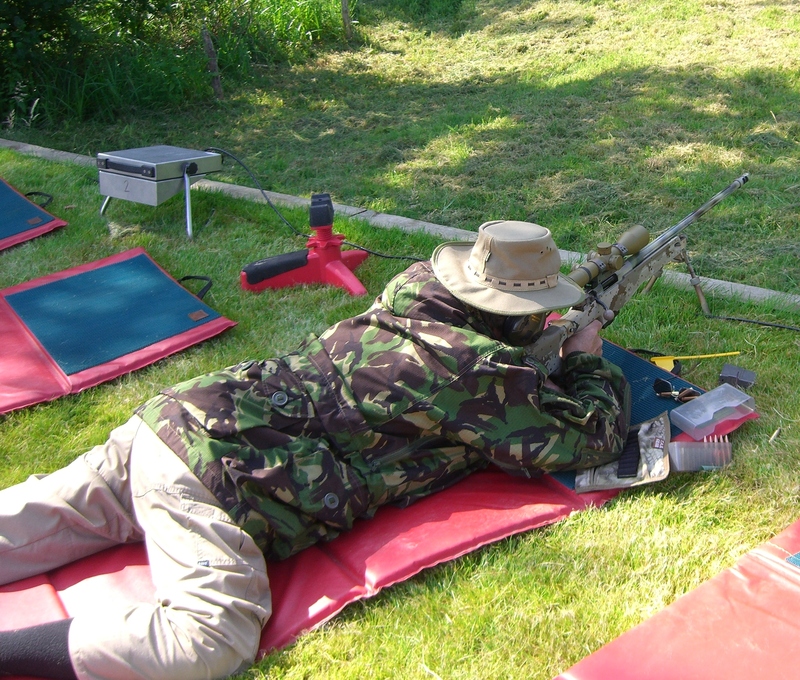 Our President Graham Arthur has offered to oversee things but he cannot manage the event single handed and we need some help from the membership for this and other shoots in general. We would like some volunteers to step forward and help run the Kirby Cup and to assist with other shoots in the future. The duties would include early arrival, setting up the targets, face changes range officering and putting away/locking up. We really have too few people to do these things and would like some more volunteers to help. The committee are volunteers and cannot always be available. The Kirby Cup is a particular problem but in any event some more help with Range Management would be much appreciated. So please offer to help (in advance) and we can run the shoot. In general we would like to increase our pool of members who can assist with shoots and turn up on a regular and reliable basis. So offers would be appreciated so the event can go ahead. Pavillion Update – The watertable is still too high to dig the foundations so we are waiting for the contractors to install the necessary Piling so the build can get started. I dont have any more information than that but if you want more then please contact Frank Roberts or George Cotton. I have been carrying around the membership cards all year and out of nearly 100 members I still have at least 35 who have not been to the range this year! One of them is for a member who made a huge fuss when I mentioned we may scrap having membership cards! This entry was posted in Competition, Information, Range on 06/21/2014 by Captain Comms.